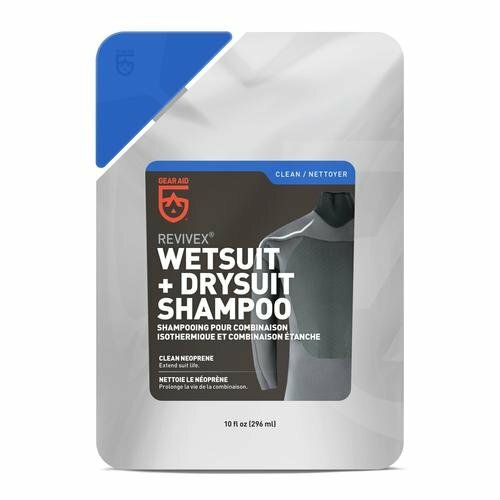 Extend the life of neoprene gear without damaging it with Revivex Wetsuit and Drysuit Shampoo. Over time, chlorine and salt damage can degrade expensive suits. Wash away organic residues like algae and bacteria with this cleaner and conditioner formula. Simply rinse neoprene gear with it to keep it supple and smelling fresh. It’s also safe to use on neoprene booties, gloves, and even GORE-TEX® drysuits. 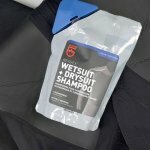 Keep watersports gear in tip-top shape by using Revivex Wetsuit and Drysuit Shampoo.